In stock and ready to ship!!! 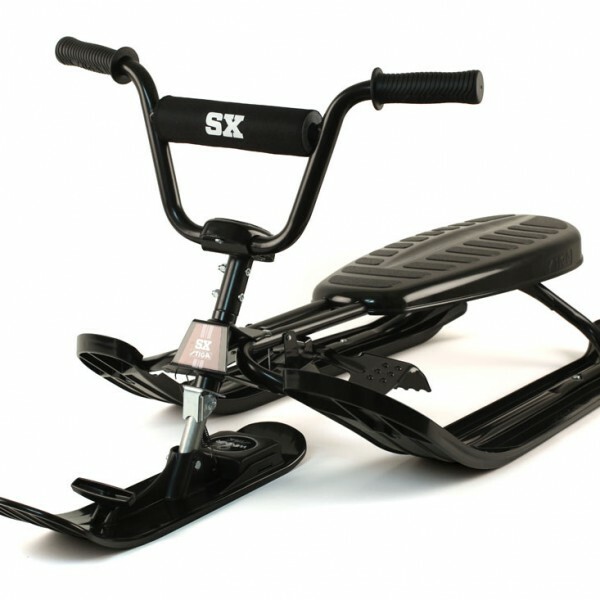 Do not hesitate, they always sell out before Christmas! 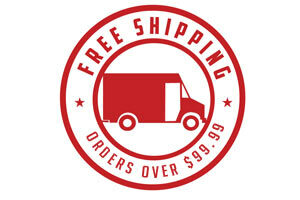 Alaska Residents – shipping this product to Alaska will incur an additional $45 in shipping fees. Please place order by phone. 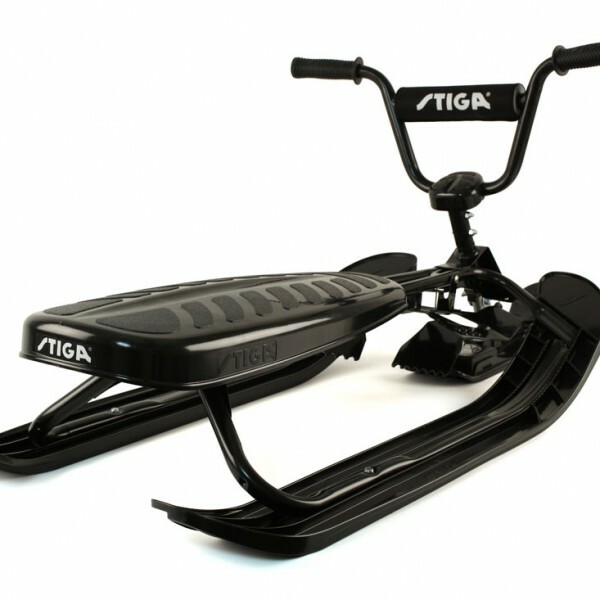 Take it to the X-treme with the Stiga SX Pro X-treme snow racer! 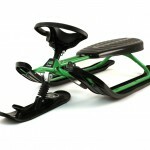 Zip down the hill in furious speed, controlled by the fantastic Curve Ski System. 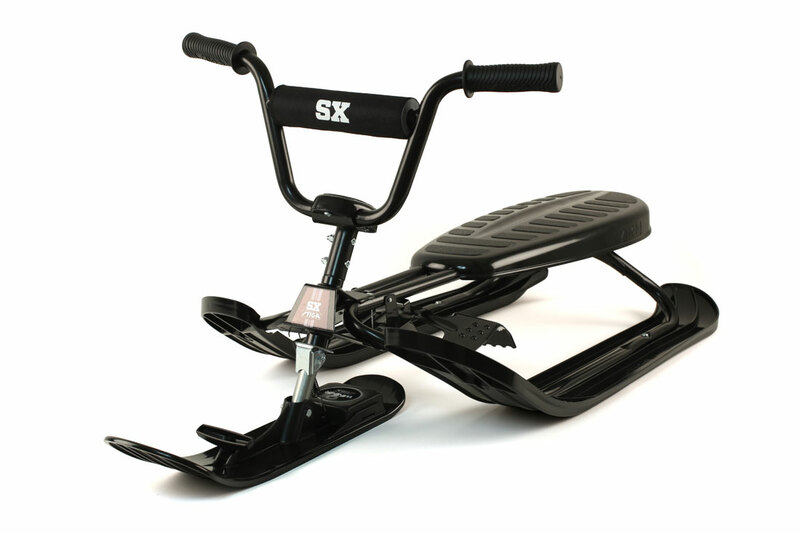 SX PRO is designed for extreme speed and action-lovers. 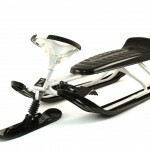 Snowracer X-treme takes the steering and maneuverability of the Snowracer to another level. Curve Ski System and a robust frame in black color. 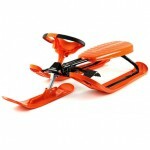 Has an automatic winder which makes it more comfortable to pull the Snowracer. 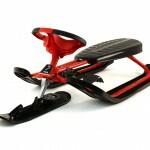 Features Twin Tip Skis and a Carved Shaped Front Ski for Improved Steering. Comes Equipped with a Handlebar and Handles in Non Slip Material for Ultimate Steering and Maneuvering! Comes with a Robust Frame in Black Color.